The Gourmet Indulgence-A Food and Wine Fiesta, organized by Four Seasons Wine, saw us this time in the magnificent 'The Oberoi Grand Hotel', Calcutta with the ticket-to-ride on another, one of the finest, collaboration of the best of food and the best of wine in the offering. 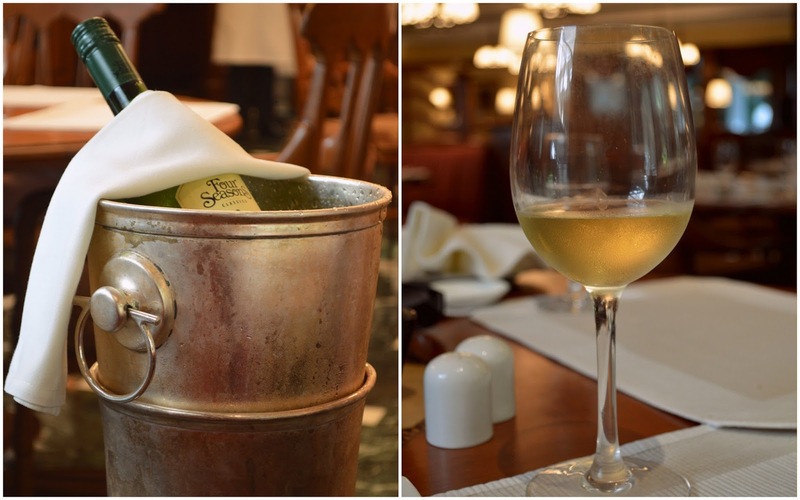 Along with my blogger friend Sarani Tarfder, who blogs from Cocawind, we had an opportunity to demystify wine and food through an invitation from Ginger Claps at The Oberoi Grand Calcutta. 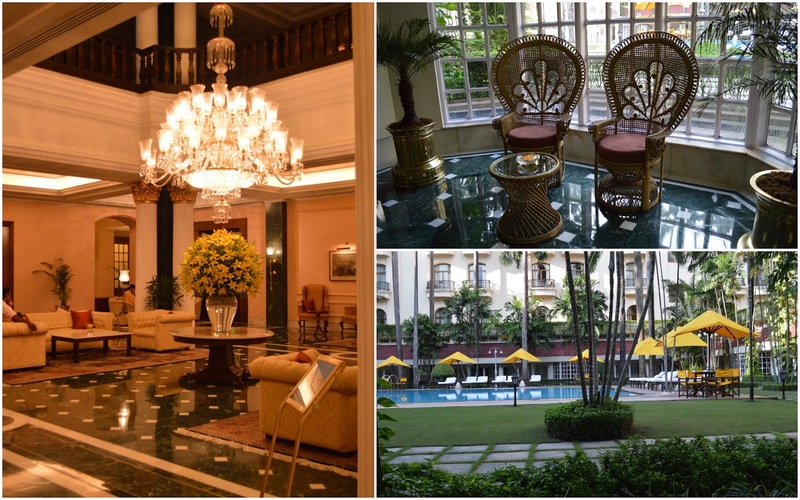 Referred to as the 'Grande Dame of Chowringhee', The Oberoi Grand unequivocally represented the grandeur and the finesse of the finest food and wine dining experience. The menu, very carefully and immaculately planned to pair food and wine perfectly, was presented to us by a very courteous waiter. The choice between Vegetarian or Non-vegetarian and between a two or three course meal was made and Sarani and I collectively decided to try their Non Vegetarian three course lavish meal. The cost of their two course (exclusive of taxes) Veg is Rs 1200/- and Non Veg is Rs 1500/- while their three course (exclusive of taxes) Veg is Rs 1450/- and Non Veg is Rs 1750. Any chosen course comes with two glasses of wine which has a glass of Four Season's Shiraz(Red Wine) and a glass of Four Season's Chenin Blanc (White Wine). Before I begin writing about my amazing gastronomical experience, let me share a word or two about the hospitality we received from their staff. Apart from being very courteous, the staff was also very well versed with the food that was being served to us and very promptly answered about our food related queries. We also got the opportunity to converse with Amandeep Singh, Manager Food and Beverages at the La Terrasse, which is their all day dining restaurant offering international as well as regional cuisine. As a mark of their sweet gesture, we were offered smaller portion size of the starters which they split in two for Sarani and me. Four Season's Chenin Blanc (White Wine) was served first to go with our round of starters. Immaculate care was taken to the finest detail for instance the wine was served in the glass which was frosted beforehand to ensure that the differential temperature is not effected while having the wine which is enjoyed best 8-10 degree. The first starter that came to our table was the humble and widely popular Caesar salad with a very modern and uber presentation. With a divided portion it had a perfect quantity for a starter. The crunchy and fresh shreds of the Iceberg lettuce were tossed with perfectly cubed croutons and the right amount of salad dressing so as not to make the salad soggy. The hero of the salad was the chunks of smoked chicken which was very soft, juicy and tender. The classic Shrimp Cocktail was served next to enhance our experience with the off-dry, slightly sweet Four Season's Chenin Blanc. Perfectly poached shrimps tossed with the thousand island dressing served with a slice of boiled egg and fresh salad was a very refreshing and light appetizer. Sadly the lovely and warm basket of buns were left unattended as Sarani and me got busy with our share of delectable starters with wine. Nevertheless, the gesture by The Oberoi Grand was highly appreciated. Four Season's Shiraz (Red Wine) was served to go with our main course. Rich, full-bodied and dark ruby red in colour, Shiraz is a perfect accompaniment for grilled meat or vegetables. Sarani opted for the Grilled Tenderloin with fondant potatoes and béarnaise sauce which was served with blanched spinach leaves and cherry tomatoes. Grilled to perfection, it was enjoyed and polished off in no time. I opted for the Sage Chicken roast gravy served on a bed of sautéed poataoes along with broccoli florets and carrot sticks. I was served with two pieces of very tender, juicy and succulent chicken with a crisp skin which lacked a little bit of seasoning. I could only finish one piece of the delicious chicken as I purposely wanted some extra space for the next and my favourite course, desserts. Sarani and I opted for both the choices of Desserts in the set menu which was the Vanilla Crème brûlée and Tiramisu. The classic Vanilla Crème brûlée came with a rather big but very thin and crisp slice of Biscotti with pistachio. The vanilla custard was rich and very eggy for our liking but the hero of the dish was the very thin and crisp layer of caramel on top. The crackle of the caramel with every bite enhanced the beauty of the dish. 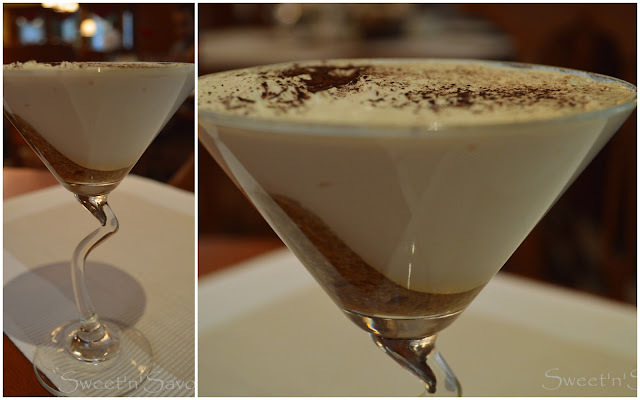 Our Tiramisu was served in a crooked stem glass and had a very creamy layer of mascarpone cheese richly flavoured with coffee which was further enhanced with some coffee liqueur. I was a little disappointed with the amount of sponge fingers which was only a thin layer at the bottom. The Gourmet Indulgence in The Oberoi Grand was true to its name and an experience we will cherish for a long time. 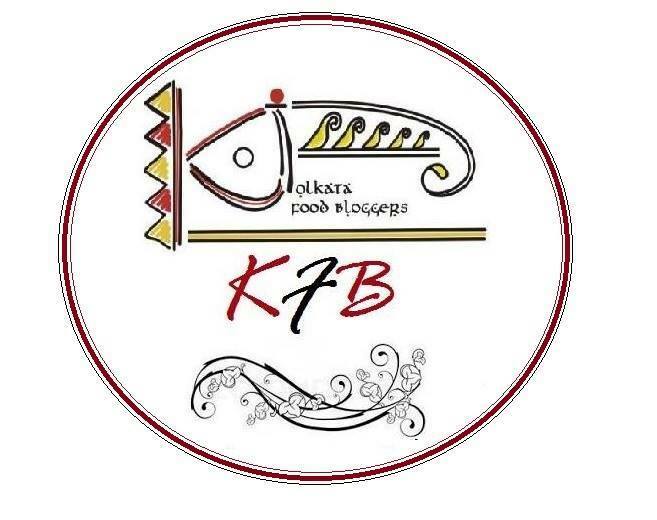 We, as the members of Kolkata Food Bloggers thank Gingerclaps for extending the invitation, The Oberoi Grand for giving us a grand and warm experience and Four Season's wine for demystifying wine for us. loved the review, the pics are enticing! Hey Amrita, You seem to be enjoying wine sessions very much. Lucky Gal! And i loved the way you've commented on food. You've given such fine details about everything right from the frosted glasses to maintain the temperature of the wine to the crackle of the caramel in the Crème brûlée. 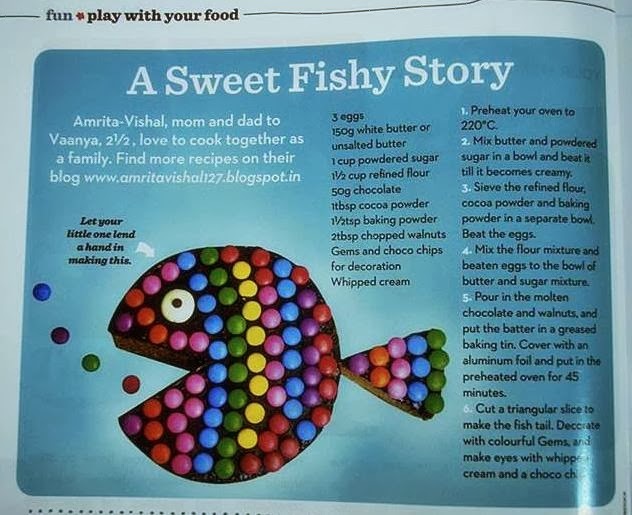 Excellent review Amrita. Lovely clicks.